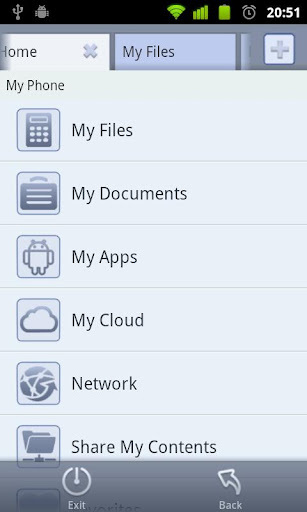 File Expert is an ultimate app for managing your files and other resources which stored on your Android phone and tablets. Files can be stored on local SD card, local WiFi network, or cloud storage servers like Dropbox, Box.net, etc. Designed for both advanced and entry level users.You also can use File Expert as a sharing server to share your files to your friends over WiFi network. They can use web browser, FTP clients, another phone that support Bluetooth to access your File Expert powered devices. File Expert should be your daily tool and it's without any ADs! File Expert has more than 6 millions of downloads and still fast growing everyday! * Clear and very easy to learn UI for most of users. Start work in just one second! * FTP/HTTP Server - Share & Manage your files without a USB cable. Web management featuring a Window style interface! * Root access to system folders and files like Root Explorer. Remount /system to read write. Requires rooted phone.It's an exclusive feature for all donate users only. * Cloud Storage - Use one app to access various cloud storage services like Dropbox, Box.net! * NFC Support. You can use NFC-enabled phone to transfer files and apps. * Theme support - Choose themes that you love for FREE! 1. Enhance user experience when browsing pictures.